I have great news! The savings being offered to you for this Sunday are simply too good to pass up. 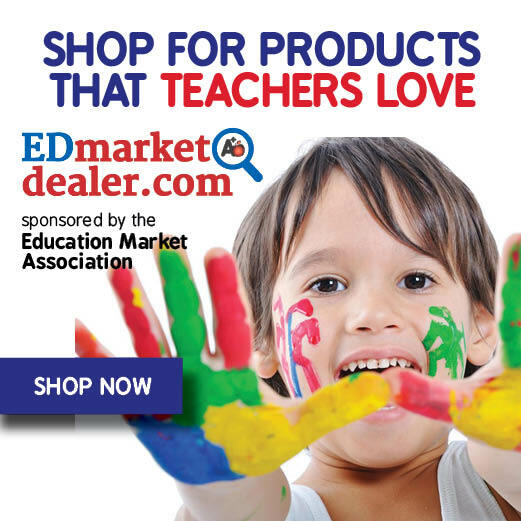 If you haven't already heard, Teachers Pay Teachers is hosting a "Super" Sunday Sale which means savings at my store and many, many others!! Simply click on the picture above, shop around at my store (and others) and enter the promo code SUPER when you check out to receive up to 28% off. ***All items in my store will be discounted to the maximum 28%!! ***** I hope you stop by Sunday! Become a follower of my store to be the first to know about freebies and new products that I add (I will be adding a couple of things prior to Sunday) Thank you in advance! To show you my love I have a simple freebie for you. 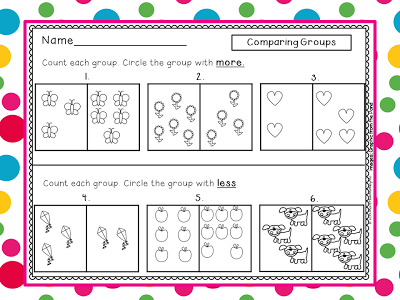 Here is a printable I created this week for a couple of students still struggling with the skill of comparing two groups to determine the one that has the most items and the one that has the least. Click on the picture below to download from my Google Drive! 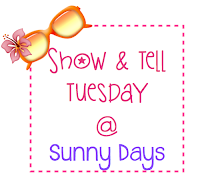 Today is Tuesday and I decided to show and tell about Valentine's Day with Sunny Days again this week. I know it is late and you probably won't even read this until Wednesday (what a hectic day) but I just have to tell you all about my FREEBIES and other great deals for Valentine's Day. Here is a quick look at each of my items---read to the end to find the FREEBIE. This GIANT 61 page Unit is a great deal and I am positive your students will be begging for more! 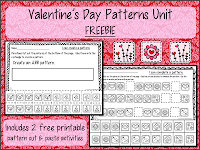 At a discounted price of $4.50 you will want to hurry and take a closer look at my Valentine's Day Patterns Unit. It won't be at this great price much longer! Well guys and gals that a look at all of my Valentine's Day items (so far). I hope some of them can help you out in your classrooms. I love hearing what you think in order for me to continue to provide products that are up to par so please comment away here or on TpT. Thanks in advance. 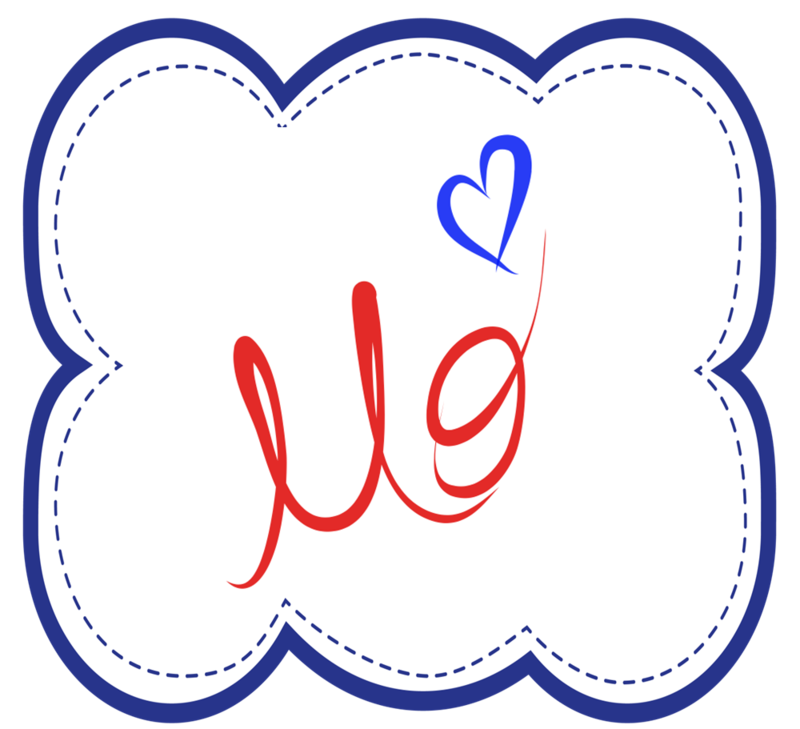 Want to check out more "Love"ly information and products that are all about Valentine's Day? If so, then click on the link below to head over to Sunny Days! Thanks again to Sunny Days in Second Grade for hosting such a wonderful Linky! Good Evening! I was just over at Queen of the First Grade Jungle and would like to share some info with everyone. 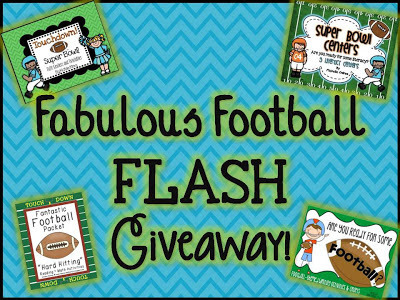 If you haven't seen her recent post, Katie and 3 other gals are hosting a FLASH giveaway! It's only open for 24 hours so hurry on over to enter some amazing products! Click on the picture below to head to the giveaway post. Good Luck everyone! I hope one of the winners is myself one of you guys. Hope you are enjoying your weekend. I still haven't given away all products from my previous post so head on over if you haven't already - Valentine's Day FREEBIE Friday!!! Today is Friday which means I have a FREEBIE for you! With a new holiday just around the corner I decided that today's freebie needed to be my newest holiday ABC Order Cut and Paste Printable----Valentine's Day. 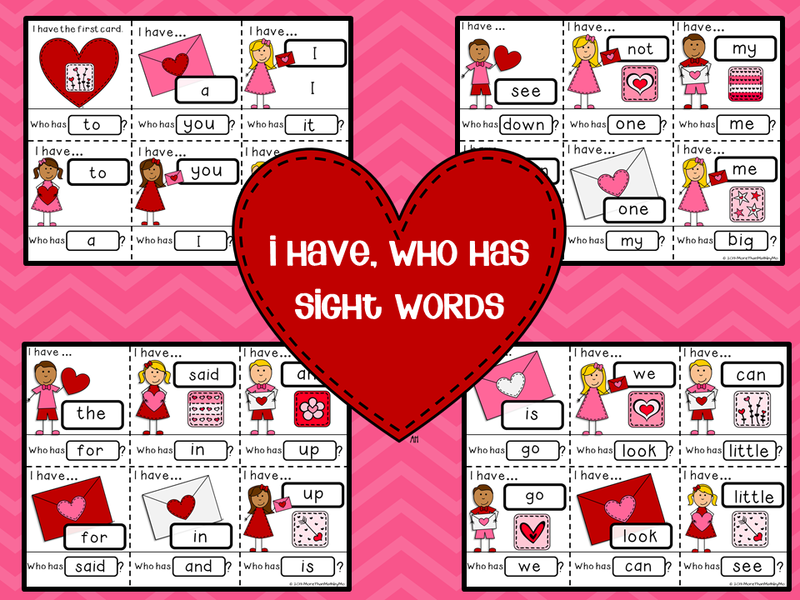 The words students will work with include hearts, notes, love, flowers, best friends, and candy. If you have been a follower of mine for a little while then you are aware of my seasonal ABC Order Cut and Paste Printables. If you are new to my blog let me explain-starting with this past Thanksgiving, I have created ABC Order Cut and Paste printables for each season. They include words that give meaning to the holiday as well as a graphic for each word which makes the printable a great tool for discussing the holiday, plus students get to practice their alphabetizing skills. Since my previous 4 have been very popular-over 12,000 downloads total on 4 items-I decided to continue creating these for each holiday. With that said......here it is! Click on the picture below to get your copy today. 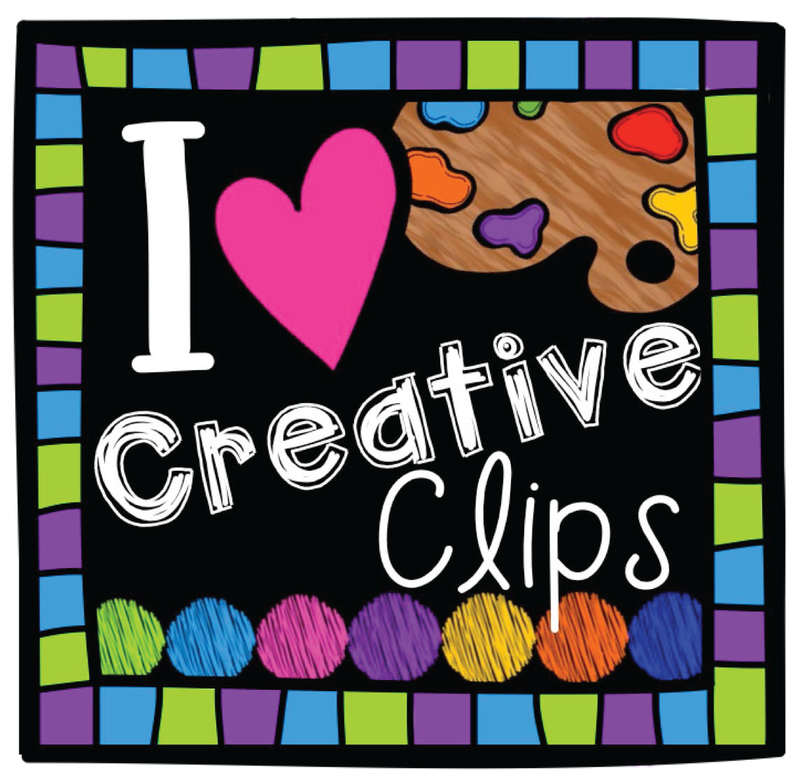 1.Try out my new hover pin it button (simply hover over any picture and click on the pinterest icon that appears) and pin my Valentine's Day ABC Order Cut & Paste Freebie. 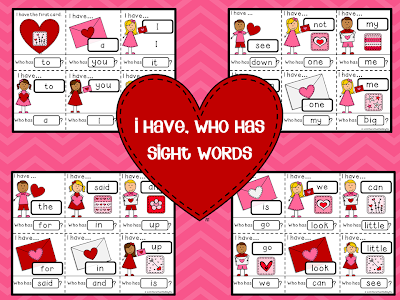 The first 15 people to comment will win a Valentine's Day Sight Word I Have, Who Has Game. 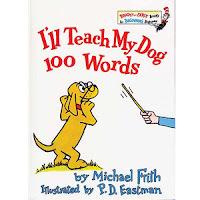 This product is not even available to my TpT customers yet! Check it out below. 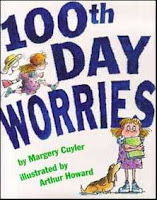 Our 100th day has not arrived yet but I have lots of fun planned for my littles that I will share with you tonight. I have a couple favorite books that I read every year. 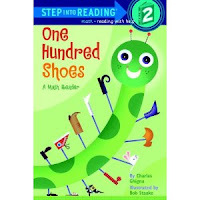 My littles love One Hundred Shoes! We do lots of activities about shoes and feet. 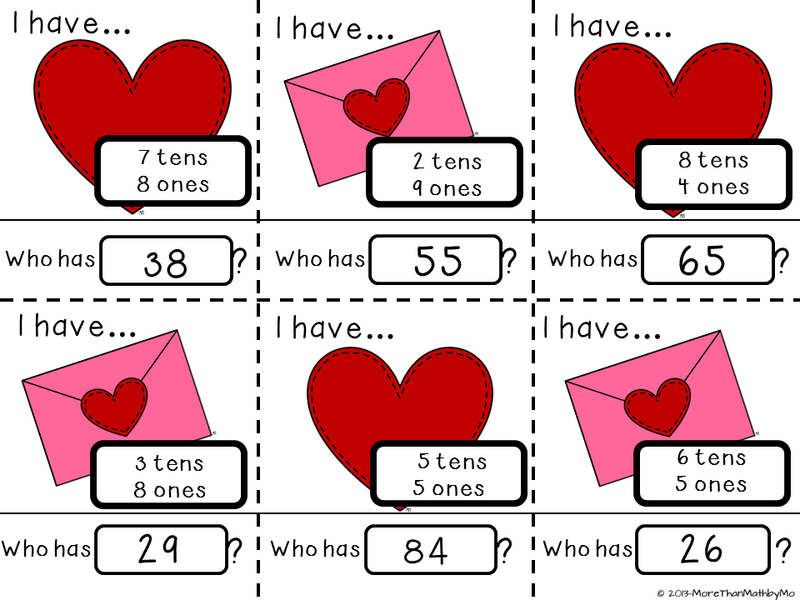 For this year I created the following printable to count shoes to 100 by ones and by 2s. Download them for FREE by clicking any of the pictures. Because some 100th day activities take longer for some of my students to complete, I always have 100th day themed coloring sheets and word searches available. Here are 2 that I created recently. You can download both of them for FREE! The first one is included in the same download as the "shoe" printables above. The "We made it to 100" coloring sheet is a separate download-be sure to click the picture to get your free copy. The second coloring sheet is part of my newest product-100th Day of School Games and Printables. This 26 page file is packed with engaging games and printables. 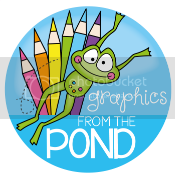 Thanks to the amazing graphics by Ashley Hughes, this set is sure to entice your students into having fun without realizing they are learning. 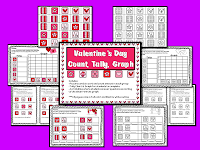 The set includes 2 number puzzles that work with counting by ten to 100, a 2 page number puzzle counting by fives to 100 and 2 picture puzzles. 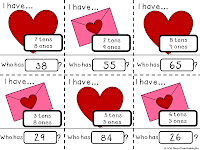 You also receive a memory match-up card game, a BINGO set, a certificate to award students for completing 100 days of school, and 4 printables. You can see the preview below. Click on any picture to visit my store. Thanks again to Sunny Days for hosting this linky! Today I'm linking up with Queen of the First Grade Jungle for Techy Teacher Tuesday. Some of you may have seen the post previously but I felt like it has such great information that figured you wouldn't mind that I posted it again for this linky. I want to talk about technology in the classroom. We all know that technology is constantly changing and the latest craze is all about the "i" (iPad, iPod, iPhone). It is my belief that as teachers, we need to keep up with current technology in order to give our students an advantage. I have been owning an iPad for a few years and just purchased an iPad mini. I use my older iPad in my classroom as a computer station. In order to make sure it is educational (and fun) I am constantly looking for apps (preferably free) to help meet the needs of my students. While searching the internet at the beginning of the school year I came across an amazing website that I must share with you. This website (blog) keeps readers up to date on the latest and greatest apps for all ages, preschool through high school). 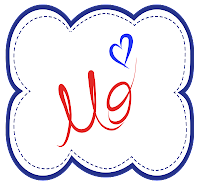 I have also shared this website with my students' parents. Anybody that has children and uses i technology can benefit greatly from this website! My favorite part of the website is the Free App Alert! Enter your email address in the area provided (see picture below) in the right column of the website and you will receive daily emails. The daily email will tell you about one(or more) great FREE app(s) available that day. Most of the time the email shares an app for younger children and one for older children To get the free app you can go to the iTunes store and search for it, or simply click the link from your email-it's that easy! For those of you who are worried that their email inbox will be filled with junk mail due to signing up, have no fear. I have been signed up for many months and have not received any other emails from this site besides the one daily email. Sometimes the free app that you are alerted to is only free for a limited time(what a bargain!). Over the holidays, I stocked up on probably $20 worth of apps and didn't pay anything! I would have never known about these deals if it hadn't been for the Free App Alert! I hope you found some useful information in today's post. 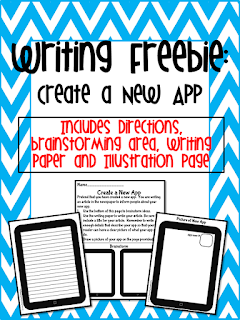 In honor of the "i" technology I have created a few "i" inspired freebies for you! Click on the picture to download your copy today. Color the apps with pictures that contain the long i sound. 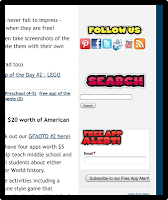 Write a newspaper article about a new app that you have created and illustrate the icon and a screen shot of your app. Read the sight words on each app. 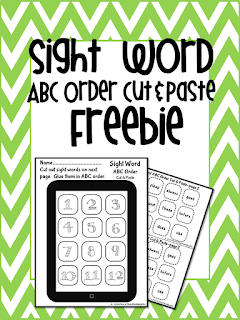 Cut them out and glue them in ABC order on the home screen. I hope you enjoyed today's post. I would love to hear your comments to help me decide if I should highlight a website once a week-Thanks. I wanted to let you guys know that my friend Ashley Hughes(The School Supply Addict) is hosting a giveaway on her Facebook Page. 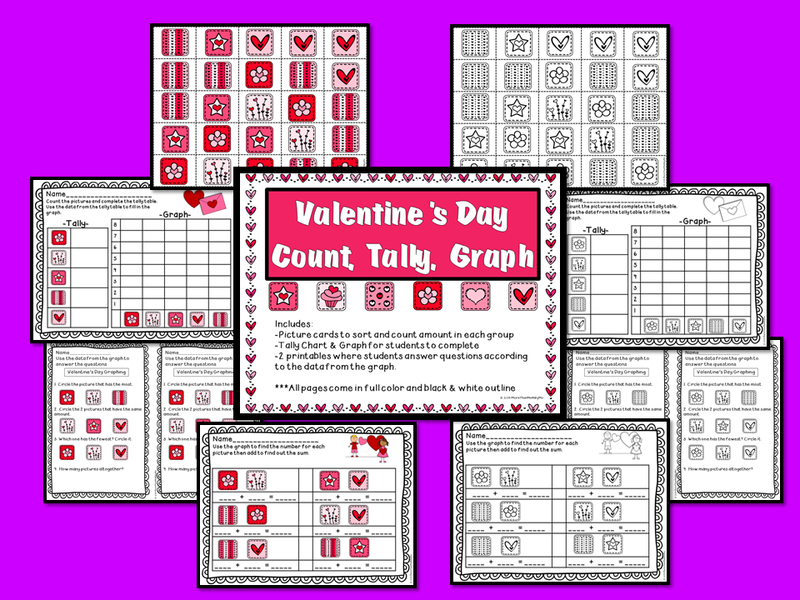 She will be giving away my 100th Day Games and Printables Set along with her 100th day graphics to 2 lucky winners! She will be choosing a winner tomorrow at 7:00pm, so head over and like her page to find out more info! Good Luck! Hello to you all-I hope you are having a wonderful weekend. I am taking in as much sunshine as possible today-we have not seen the sun in 2 weeks due to constant rainy, gloomy weather. 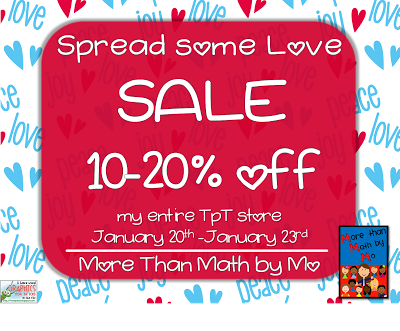 I wanted to let everyone know that I am having a sale at TpT. Click on the picture above to visit my store and start saving. ALL products are 10-20% off. I would also like to tell you about my newest product-100th Day of School Games and Printables. This 26 page file is packed with engaging games and printables. Thanks to the amazing graphics by Ashley Hughes, this set is sure to entice your students into having fun without realizing they are learning. The set includes 2 number puzzles that work with counting by ten to 100, a 2 page number puzzle counting by fives to 100 and 2 picture puzzles. You also receive a memory match-up card game, a BINGO set, a certificate to award students for completing 100 days of school, and 4 printables. You can see the preview below. Click on any picture to visit my store and........continue reading for a FREEBIE. Thanks for stopping by my blog today! Would you like a FREEBIE? 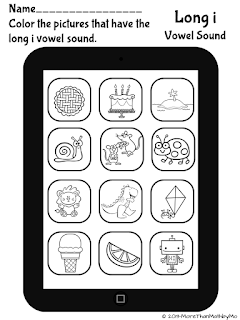 If so click on the picture below to download this adorable 100th Day coloring page.